What is driving the use of telehandlers? Telehandlers are filling the need of today’s farmers and construction professionals to buy one machine that can serve various needs. The common misconception about telehandlers is that they are merely an all-terrain forklift. While telehandlers resemble a forklift in form and function, today's telehandlers are incredibly versatile pieces of equipment capable of handling a multitude of jobs on the farm and on the construction job site. Rather than using a wheel loader, attach a bucket to a telehandler and it will be just as capable of moving material around the farm. Farmers, forget using your front end loader for stacking hay—with a telehandler, you’ll be able to stack higher than ever before. Telehandlers are even capable of doing a tractor's work in many cases, and can be used to tow trailers and implements. Construction companies use telehandlers to serve in place of a forklift and crane. They can move pallets from trucks and deliver those same pallets to rooftops and other high places with one touch. The telehandler’s utility shines in confined construction, areas where a crane cannot be used. That same mobility makes the telehandler adept at many jobs commonly associated with a skid steer. As more equipment owners discover the flexibility the telehandler provides, expect to see them become even more common in the field. As more professionals purchase telehandlers, farmers and contractors can anticipate new applications will be found, and new attachments developed. 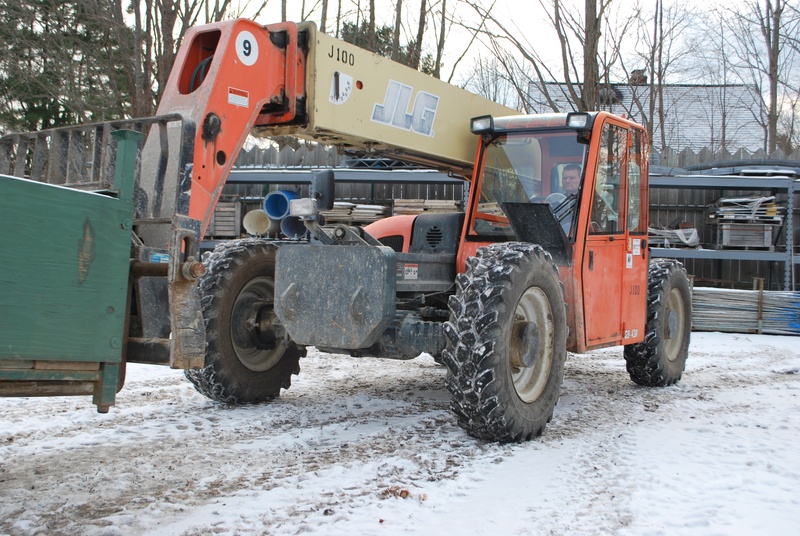 While telehandler users are busy devising the next great use for this exceptional piece of machinery, Alliance Tire is busy thinking about how these multiple uses affect the machine's tires. At ATG, our engineers are working hard to design tires that will stand up to the hard use from telehandlers. Tires like our Galaxy Giraffe are purpose-built for versatile machines like telehandlers. Featuring a wide, flat tread to provide the machine with superior stability when lifting loads, the Giraffe also features solid center blocks for excellent roadability and reduced wear when driving between jobs. When operating off the road, the Galaxy Giraffe's aggressive open-shoulder lugs provide maximum traction. It's innovative tires like the Galaxy Giraffe that have made Alliance Tire the fasting growing off-highway tire producer in the industry. Contact your dealer today to learn more about the Galaxy Giraffe and the other great telehandler tires offered by ATG.